Willie Grayeyes pictured in May 2017 during a visit by Interior Secretary Ryan Zinke to Southern Utah. 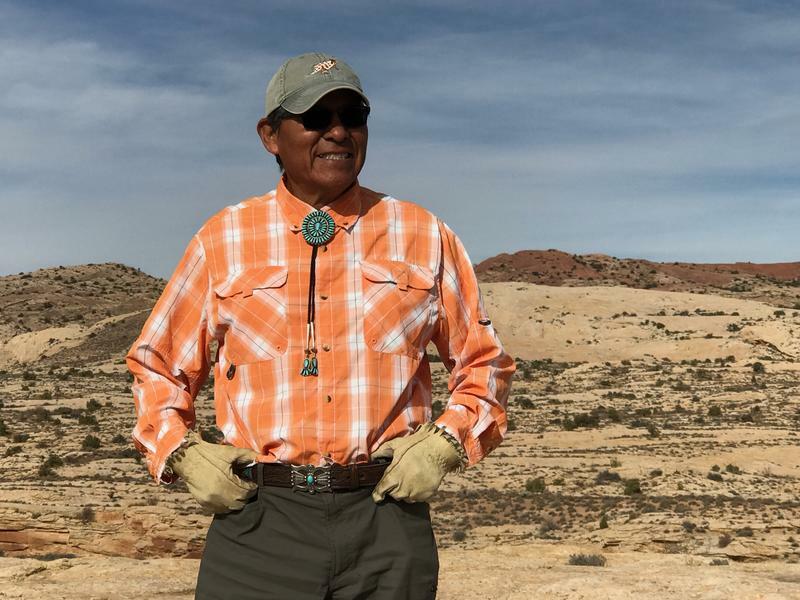 U.S. District Judge David Nuffer ordered San Juan County to put Willie Grayeyes back on the ballot during a hearing in federal court in Moab, Utah, said Leonard Gorman, executive director of the Navajo Nation Human Rights Commission. He attended the hearing. Grayeyes sued after he was disqualified for the ballot when county officials investigated a complaint and determined he didn’t live in the district, but primarily in Tuba City, Arizona. The Navajo Nation overlaps with San Juan County and stretches into Arizona and New Mexico. Many people in the remote areas travel frequently for work and collect their mail across state lines. 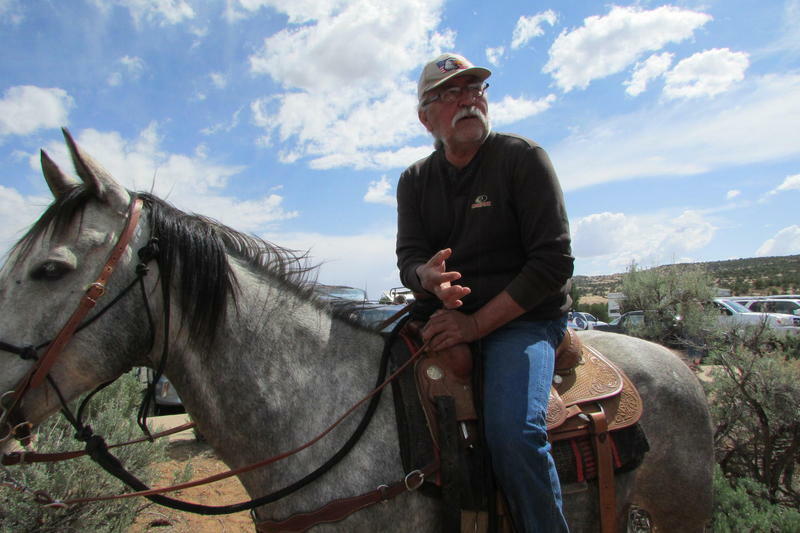 Grayeyes is running as a Democrat for a seat on the three-person county commission in the remote southeastern Utah county where Navajos and Republican county leaders have clashed for years over voting and election issues. Lawyers for Grayeyes say he’s lived and been registered to vote there for decades. They argue he was targeted because new, court-ordered voting districts could help more Navajos get elected. The county said race and politics weren’t involved in the decision. Grayeyes and his attorney didn’t immediately return phone calls and emails seeking comment Tuesday about the ruling. A spokeswoman for San Juan County also didn’t immediately return phone call and emails. It’s unknown if the county will appeal and keep fighting to keep Grayeyes off the November ballot. County leaders are challenging the new districts they say unfairly carve up the county’s largest city of Blanding, about 300 miles south of Salt Lake. The creation of the monument by President Barack Obama was fiercely opposed by Republican leaders in San Juan County and statewide. President Donald Trump ordered the monument downsized last year in a move that pleased state and county leaders.